Climate Camp gives new meaning to the word ‘demonstration‘. Not just protesting against, but also demonstrating positive alternatives. Burning Man with a purpose, I love it! 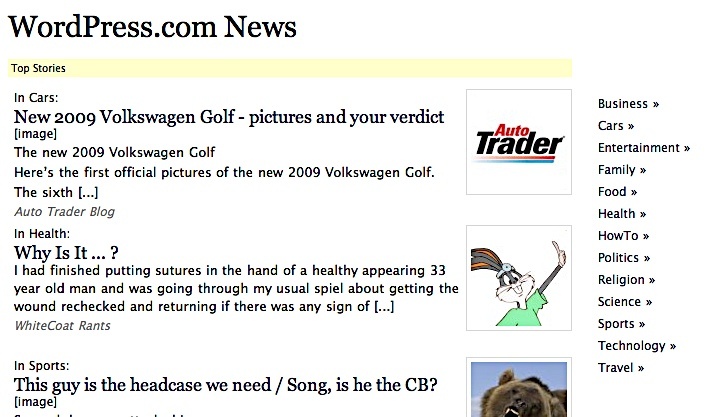 WordPress, Include ‘Green’ In Your News Categories, Will You? Based on my success with Technorati, I decided to continue my campaign with another major blogging platform, requesting that they make ‘Green‘ a more prominent category on their site. This time is WordPress‘s turn. First thanks for WordPress, without which my blog would not be where it is today! More importantly, as a green blogging queen, I am chagrined that WordPress does not have a dedicated Green category in its Featured Blogs. Hopefully this email will be as fruitful as the one I sent to Technorati last month, and that resulted in a personal comment back of Richard on my blog, along with Technorati listening and making change I suggested to have dedicated Green search. I look forward to your response, hopefully with a promise of changes. Let’s see what happens. I will keep you apprised. I also encourage you to do the same with other Internet venues that you come in contact with. Little by little, you and I can help green the media landscape. How Many Cities Like Honolulu? Lots of Sun, And No Solar . . .
Loving my stay in Honolulu, except for the blazing sun that scorches us, whenever we venture in the city at midday. So much hot energy to harvest year round. You would think the city would be covered with solar panels. Not so. The big talk in town, is the upcoming election, to decide on the mayor’s proposal for a $4 billion rail transit system. I just wonder what would be the bill for a city-wide solar program? And how fast would the payback be? With, or without subsidies? Where are the local environmentalists when we need them? 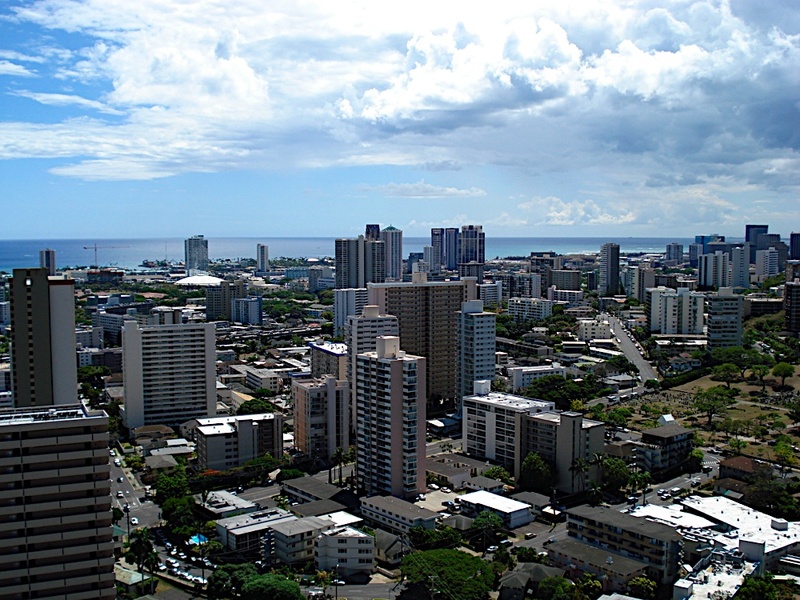 Imagine a coalition of concerned Honolulu citizens putting together a solar proposal for their city. Today, over 200 million women who want birth control lack access to contraceptives. Please join the movement to reverse cuts to reproductive health programs, helping the poorest of women. During the Bush years, international family planning funding has been cut some 40% in real dollars, and funding to the United National Population Fund (UNFPA) has been withheld for the past six years. We just spent the last week with Dr. Solomon Orero, a heroic Kenyan OB/GYN, who described to us in vivid detail the suffering and unnecessary deaths of young women and girls in Kenya. We also worked with Dr. Nafis Sadik from the United Nations, who described the harmful conditionality of US funding, such as wasteful abstinence-only programs and restrictive policies like the global gag rule. We must reverse the direction of US international reproductive health policies. Take action now! Write to Senator Pat Leahy (D- VT) and Congresswoman Nita Lowey (D-NY), chairs of the House and Senate State, Foreign Operations and Related Programs Appropriations subcommittees. Urge them to support an $530 million increase in U.S. assistance to international family planning, including $63.5 million to the United Nations Population Fund, in the Foreign Operations Appropriations Act for FY 2009. This brings the total funding for international family planning to $1 billion, less than the cost of 1 missile. Without adequate access to birth control, more than 500,000 young women die each year from pregnancy related causes and complications in childbirth. Another 70,000 women and girls die from botched, unsafe abortions. Women want access to birth control, but our government’s policy of cutting family planning funding is contributing to unnecessary suffering and death. Take Action! Tell the House Subcommittee on State and Foreign Operations and Related Programs Chairs Senator Pat Leahy and Congresswoman Nita Lowey know you support empowering women and increasing international family planning funding to $1 billion.